The Recycled Firefighter Battalion 12hr pack is US made from top notch materials and is fairly affordable ($149). These are traits that normally do not combine in one product. So how does Recycled Firefighter make it happen? The pack is small (12 liters) and is a fairly simple design. While there are things like a sternum strap or some spacer mesh on the back panel that could make this pack better, the design really works. 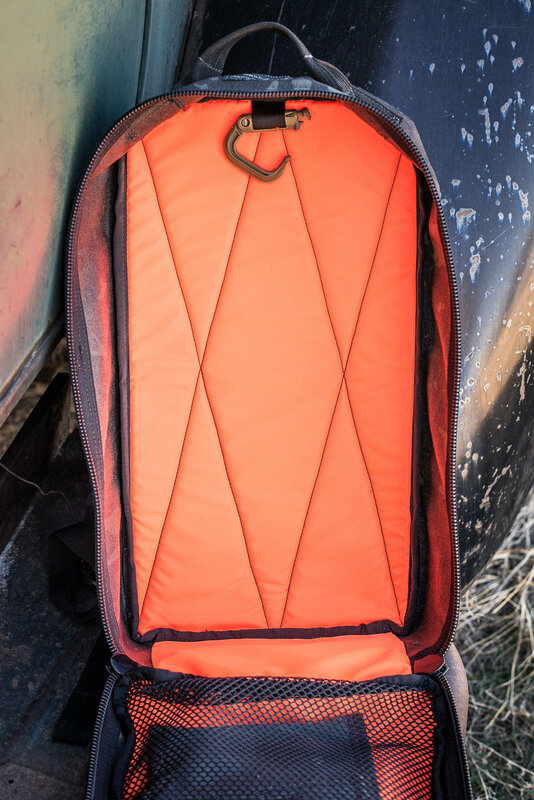 The larger side opening pocket on the front and the two mesh pockets on the interior are well positioned and useful, while the full panel zipper gives unparalleled access to load and unload the main compartment. If you are looking for a slick small pack for quick trips, you'd be remiss to overlook the Recycled Firefighter Battalion 12hr.